The Japanese Dental Society of Anesthesiology was established in 1973, following the Council for Dental Anesthesiology (the predecessor of the Society) held in 1966. It has a history of more than 50 years and about 2,600 members now. Dental anesthesiology is positioned as an independent field in dental science, which specializes in pain control, anxiety relief, and safety control in dental treatment and oral and maxillofacial surgery. In Japan, all dental schools have the Department of Dental Anesthesiology, which is in charge of education of dental students on dental anesthesiology, and conducts basic and clinical research into dental anesthesiology, and provides clinical specific treatments in the University Hospital. In Japan, dental anesthesiologist is widely recognized as a dentist specializing in dental anesthesia care, pain clinic, and emergency care and providing general anesthesia, intravenous sedation, and inhalation sedation to dental patients. The Japanese Dental Society of Anesthesiology will make efforts to promote the above projects and transmit the information about the nature and role of the society not only to communities and people but also throughout the world. 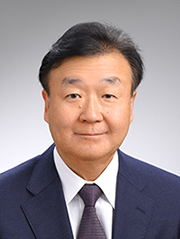 [The Japanese Board of Dental Anesthesiologist (JBDA) and Board Certified Dental Anesthesiology Specialist]: 1,323 Japanese Boards of Dental Anesthesiologist and 312 Board Certified Dental Anesthesiology Specialists as of August 31, 2018; "Board Certified Dental Anesthesiology Specialist (BCDADS)" was approved by the Ministry of Health, Labor and Welfare on March 24, 2006 The Refreshing Course for JBDA is held every year. [Annual Meeting]: Annual Meeting of the Japanese Dental Society of Anesthesiology is held every year. Council for Dental Anesthesiology (the predecessor of Dental Anesthesiology Workshop) was established, and the 1st Convention of Council for Dental Anesthesiology was held. Dental Anesthesiology Workshop (the predecessor of the Japanese Dental Society of Anesthesiology) was established, and the 1st Convention of Dental Anesthesiology Workshop was held. The Japanese Dental Society of Anesthesiology was established and the 1st Annual Meeting of the Japanese Dental Society of Anesthesiology was held (in Tokyo chaired by Hideki Furuya). The International Federation of Dental Anesthesiology Societies was established, and the 1st International Dental Congress on Modern Pain Control was held in Monte Carlo. The Japanese Dental Society of Anesthesiology established the Certification System of the Japanese Board of Dental Anesthesiologist, and the 1st Certification Test was conducted. The 3rd International Dental Congress on Modern Pain Control was held (in Tokyo chaired by Yasuya Kubota). The 1st Refreshing Course for the Japanese Board of Dental Anesthesiologist certified by the Japanese Dental Society of Anesthesiology was held. The Japanese Dental Society of Anesthesiology established the Supervisory Doctor System, and the 1st Supervisory Doctor Test was conducted. The Japanese Dental Society of Anesthesiology was incorporated as a limited liability intermediate corporation (LLIC).The Japanese Dental Society of Anesthesiology LLIC established the Board Certified Dental Anesthesiology Specialist System. The Vital Signs Seminar for Dental Safety was hold cosponsored by Dental association of the prefecture and Local dental association. The first was held under the sponsorship of Kagawa Prefectural Dental Association in this year. Thereafter, it has been held in several times a year around the country. The Japanese Dental Society of Anesthesiology shifted to a general incorporated association from LLIC. The Japanese Dental Society of Anesthesiology established the Fellow Doctor System, and the 1st Registration Test was conducted. Copyright © 2010- ,inc All Rights Reserved.